• Benny Andersson Band, "Story of a Heart" (Decca). Andersson collaborates with fellow former ABBA member Björn Ulvaeus for first U.S. album with 16-piece group. 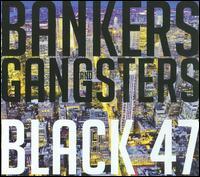 • Black 47, "Bankers and Gangsters" (United for Opportunity). Ever-scrappy NYC rock band with Irish-expat frontman finds plenty of material in current events. • Citizen Cope, "The Rainwater LP" (RainWater Recordings/RED). Jam-band favorite Clarence Greenwood issues latest relaxed mixture of folk, blues and hip-hop. • Jamie Cullum, "The Pursuit" (Verve). British jazz-pop singer and pianist follows "Gran Torino"-related Clint Eastwood songwriting partnership with new collection of electronic-tinged soft-rock. • Krishna Das, "Heart as Wide as the World" (Nutone/Nettwerk). Longtime devotee of India's spirituality and music returns with first new album in a decade. • Peter Gabriel, "Scratch My Back" (Virgin). Former Genesis member and intermittent solo artist gets orchestral, covers (among others) Radiohead, Bowie and Arcade Fire. • Danny Gokey, "My Best Days" (19 Recordings/RCA Nashville). Milwaukee's "American Idol" finalist debuts with modern-country Nashville sound. • John Hiatt, "The Open Road" (New West). Gravel-voiced Indiana singer-songwriter keeps the wheels rolling. • Jason & the Scorchers, "Halcyon Times" (Courageous Chicken Music). Reunited country-rock band, with emphasis on rock, issues first set of new songs since 1996. • Lifehouse, "Smoke & Mirrors" (Interscope). Commercial pop-rock group releases latest album, guest-starring Chris Daughtry. • Little Boots, "Hands" (Elektra). UK dance diva gets official American release of 2009 debut disc. • Portugal. The Man, "American Ghetto" (Equal Vision). Indie band with psychedelic overtones looks for spontaneity, more insistent beats on fifth album. • The Texas Tornados, "Esta Bueno!" (Bismeaux). Tex-Mex supergroup reconvenes, showcases five vocal performances from late member Freddy Fender. Sources: pauseandplay.com, allmusic.com, billboard.com. Look for reviews of the latest CDs Wednesday in Food and Friday in Weekend Cue. We encourage your comments but will strive to remove discussion that contains personal attacks, racial slurs, profanity or other inappropriate material as outlined in our guidelines. We post-moderate comments on most content, but may choose to pre-moderate some comments so please be patient if you don't see yours appear right way. We also ask for your help by reporting comments you think are inappropriate. What will Milwaukee's architectural future look like? © 2010, Journal Sentinel Inc. All rights reserved. Produced and Managed by Journal Interactive.